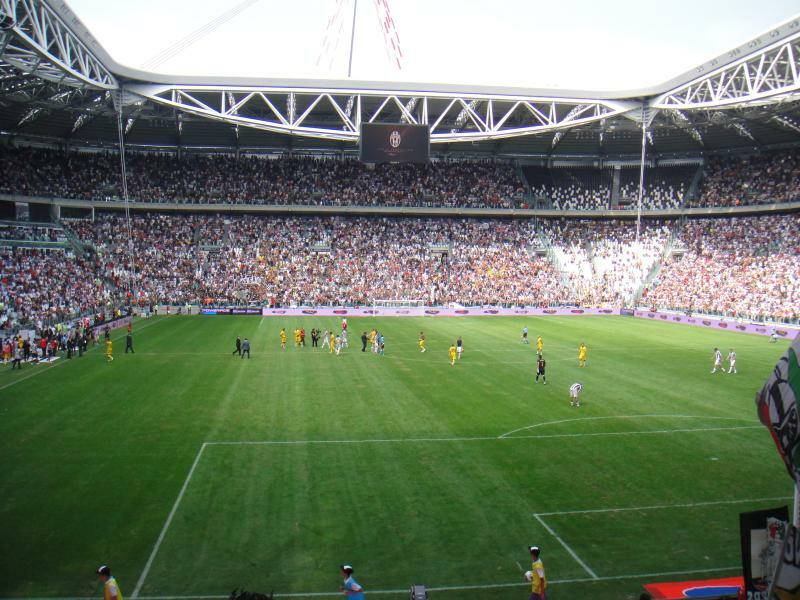 Allianz Stadium, previously known as Juventus Stadium, replaced Juventus’ old Stadio Delle Alpi, which had only been the home of the club since 1990. Juventus fans had never warmed up to Delle Alpi though, with most complaints involving the distance between stands and pitch, poor sightlines and lack of atmosphere. 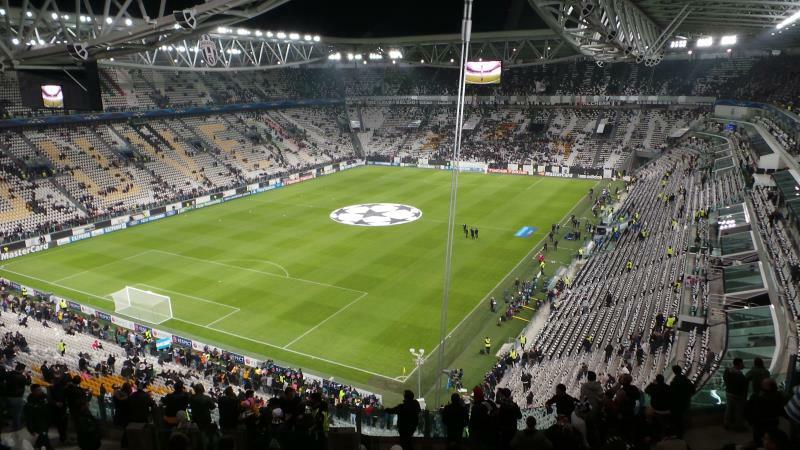 As early as 2003, Juventus therefore already started making plans to build a new stadium, and after they had bought Delle Alpi from the city of Turin, they moved to Stadio Olimpico di Torino in anticipation of returning to a new home in a few years time. Demolition of Delle Alpi started in 2008 and soon after works on the new stadium began. 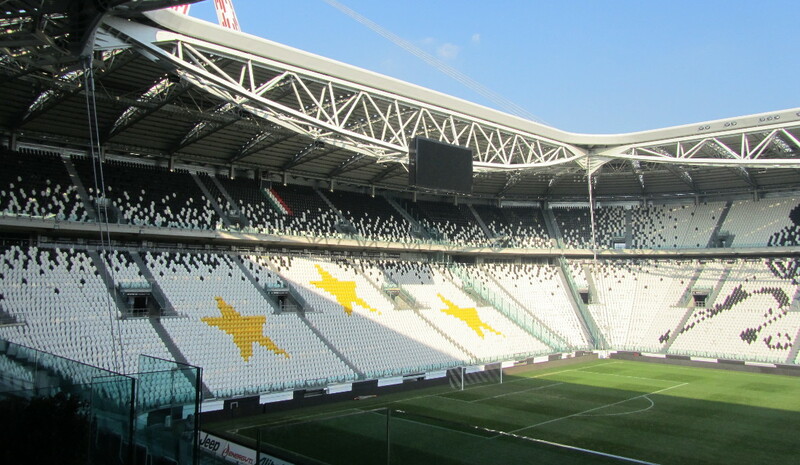 Juventus Stadium officially opened on 8 September 2011 with a match between Juventus and Notts County (1-1). Notts County had been chosen because of the historic ties the clubs have had since 1903 when Englishman and Juventus player John Savage arranged for Juventus to wear the black-and-white kit that Notts County traditionally play in. Juventus Stadium hosted the 2014 Europa League final between Sevilla and Benfica, which ended in a 0-0 draw and was won on penalties by the Spanish side. In 2017, the club announced a 6-year naming rights sponsorship deal with insurer Allianz resulting in the new name Allianz Stadium of Turin. Allianz Stadium is located in the north of Turin, approximately 7 kilometres from Turin’s city centre and main Porta Nuovo railway station. The stadium lies just south of Turin’s semi ring road, the Tangenziale. Take exit Venaria from the northern section of the road. On non-matchdays the stadium is best reached by bus. From the city centre (Via 20 Settembre – Via Bertola) take bus 72 or 72b in the direction of Viale Bruno Sper. or Picco. The journey takes almost 40 minutes, get off at stop Stadio Alpi. Both buses also pass train station Porta Susa. 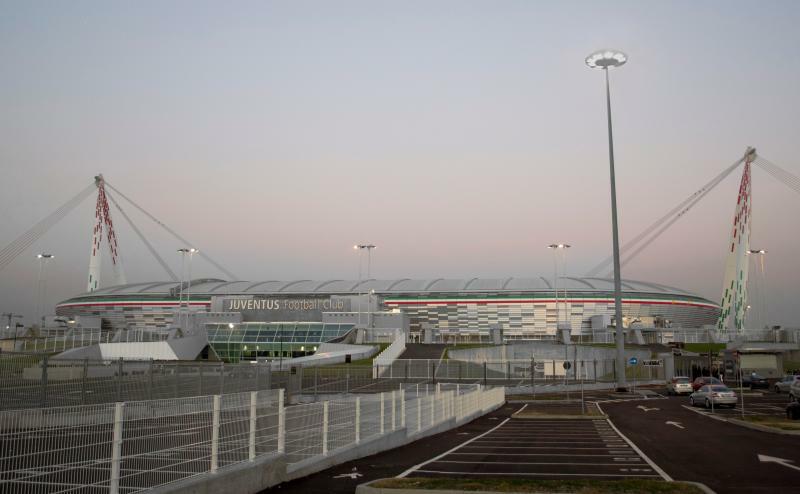 Allianz Stadium is located on the outskirts of the city of Turin in a quiet residential area. With their new stadium, Juventus also opened a medium-sized shopping centre, Area12, which has a few food outlets. Apart from that, there are few options to eat or drink around the stadium, and doing so in Turin’s pleasant city centre may be the better alternative. The newly opened Hotel Master lies right next to the stadium, gets good reviews, and is reasonably affordable. Hotel Galant, a road-side hotel near the Tangenziale, is a comparable alternative. It lies slightly further away from the stadium, but can be convienent for those arriving by car. For all hotels near Juventus Stadium click here. However, if you are spending more than a day in Turin, you will likely have a better time staying at a hotel closer to the city centre. Picking a hotel near Porta Susa station may be convenient in terms of public transport to the stadium, but there is more choice near Turin’s other main station, Porta Nuova. Tickets for Juventus games can be bought online via Listicket, by phone 892 101 (from Italy) or +39 02 600 60 900 (from abroad), or at one of the Listicket sales points. For certain sections possession of a Tessera del Tifoso fan card may be required. 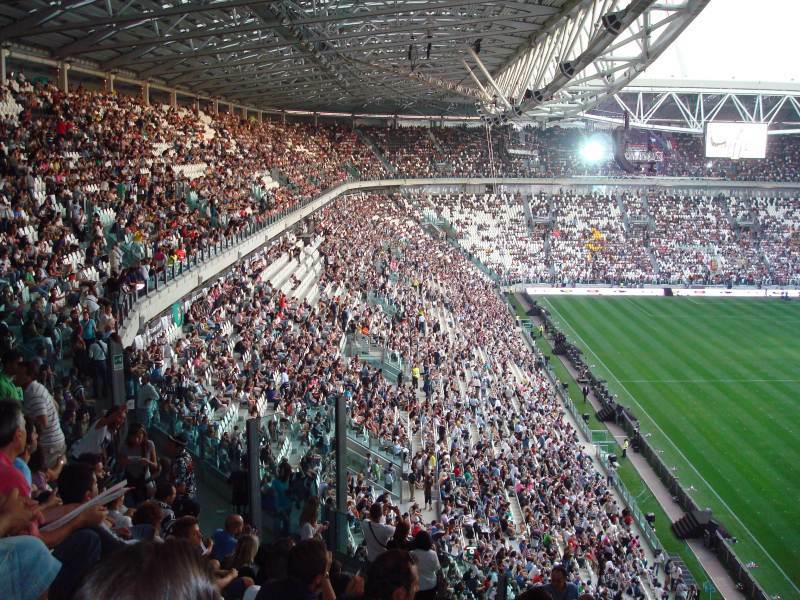 Juventus sold out most matches in their first few seasons at Juventus Stadium and most matches are still close to a sell-out. It is therefore recommended to book as much in advance as possible. Tickets usually go on sale two weeks before the match. If the match is sold out or if you wish to purchase longer in advance, you can revert to ticket websites such as viagogo, who offer a reliable alternative and take care of the repersonalisation of the tickets where required. Of course, prices will generally be higher than face value. Ticket prices depend on the opponent, but typically start at €30.00 for a seat behind one of the goals and range up to €105.00 for the central seats at the long sides. Other seats at the sides tend to go for between €65.00 and €95.00. Juventus Stadium houses the Juventus museum, which showcases the history of the club. On top of that, the club organises guided stadium tours that include access to the dressing rooms, players’ tunnel and media areas. The museum opens every day of the week except Tuesdays from 10:30 am to 6:00 pm and until 7:30 pm on the weekends. Tours run Mondays, Wednesdays, Thursdays, and Fridays at 11:00 am, 12:30 pm, 2:45 pm, and 4:15 pm. On the weekends and public holidays they run every half an hour between 11:00 am and 5:30 pm, though it is advised to check current timetables on Juventus’ official website. Tours can be booked online or at the Ticket Office at the stadium. Entrance to the museum costs €15.00, the combination of tour and museum €22.00. For more information email juventus.museum@juventus.com. Juventus.com – Official website of Juventus FC. Comune.torino.it – Tourism website for the city of Turin. GTT.it – Turin public transport information. Want to ask you if the Champions League final game in Cardiff on 3rd June would transmitted on screens in the Juve Stadium in order to fly to Torino to watch same. If yes where can we get the relevant ticket for same. thanking you in advance for your assistance and look forward to read from you. Easily one of the ten best stadiums in Europe. Great architecture, perfect view and sound and the view is good from anywhere. Only minor thing is the four cables in the corners which obstruct the view to a minimum degree. The fans sing all the time. Yes tickets are expensive, because it is sold out most times, but better that than 41.000 in a 80.000 stadium. I went to Juve vs Lazio in 2012 too, but I bought the ticket for 200 euros in black market. It really deserved this price. I went to see Juve against Lazio in 2012. Tickets are often sold out, but i kept looking at Listicket for a general sale date. Therefore i managed to buy 2 tickets for 45 Euros each. Stadium is very easily reached by public transport. You will need an id or passport to gain an access to the stadium! Great atmosphere at Juventus stadium and great city to visit!